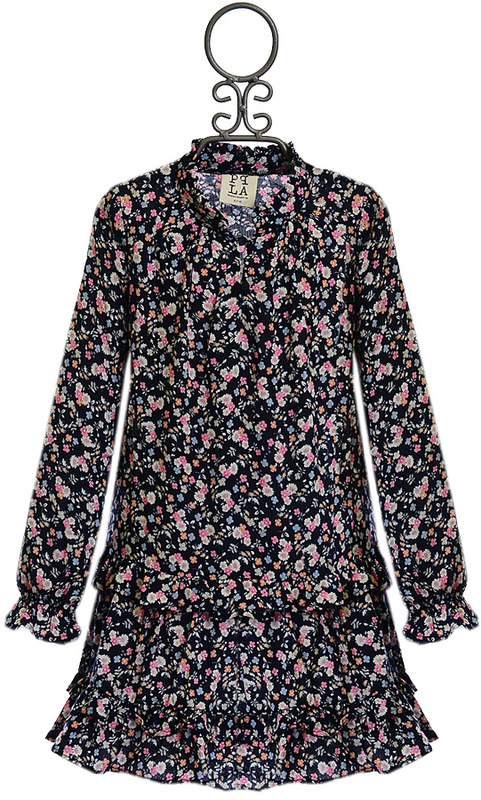 $32 - Celebrating the new blooms of spring, this casual tween dress comes from designer PPLA. The dress features a deep navy blue dotted with pink and coral flowers. Two strings fall from the neckline while a single button closes the front. The flowing fit is perfect for warm days and is accented with the ruffles that dress the cuffs and hem. 100% Rayon. Hand Wash Cold, Lay Flat to Dry. Made in the U.S.A. ONLY (1) SIZE LG 14/16 LEFT.